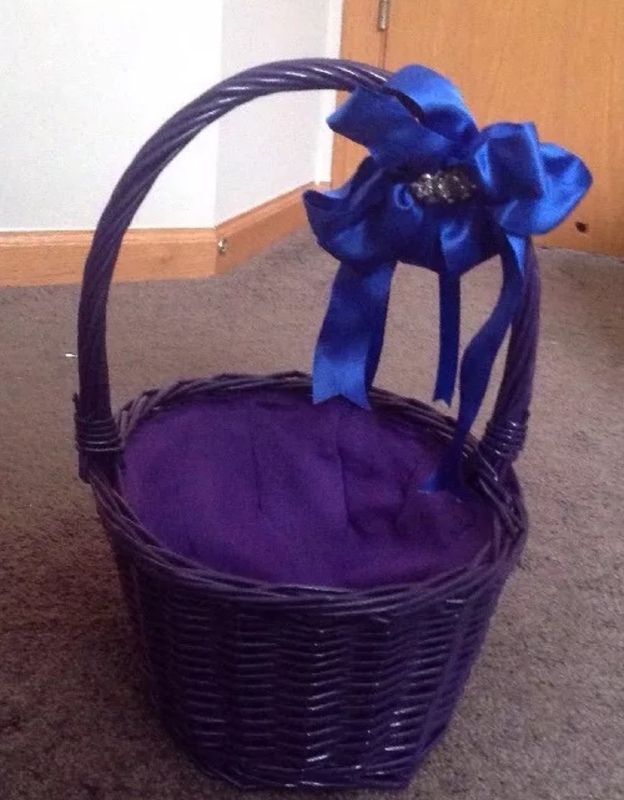 This wicker basket has been painted purple. 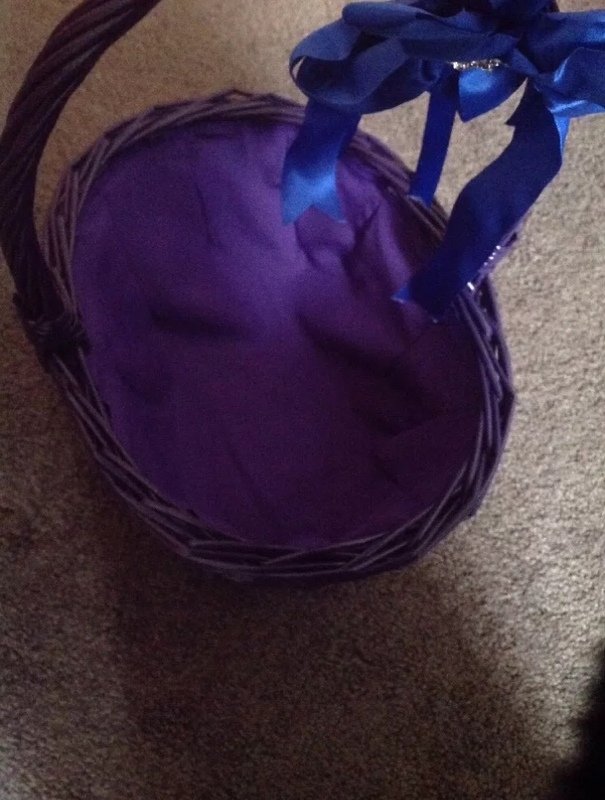 It has purple fabric lining the inside and a blue bow on the handle. 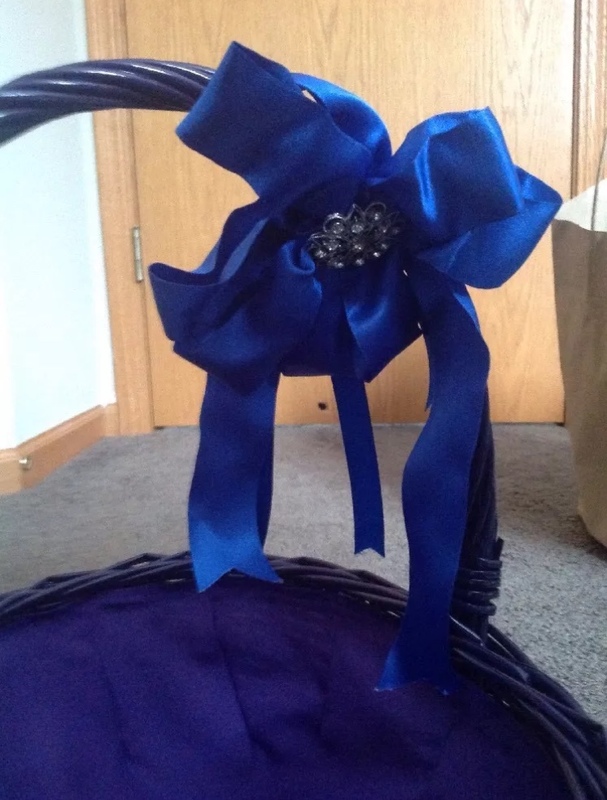 On the bow is a rhinestone clip. It is in excellent condition. It is 8 in he&#39;s wide and 9 inches long. The bottom portion is 5 inches tall without the handle and the whole thing is 12 inches tall with the handle.